Psychological Dream Meaning: Dreams often expose our hidden weaknesses and fears. You may feel that your self-confidence has been undermined or feel insecure about your sexuality. 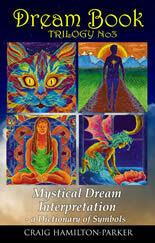 Psychological Dream Meaning: You feel that something is missing in your life. To dream of an empty room, box, house or vessel may be expressing your feelings of emotional emptiness. Freud believed that these feelings were the result of repression. Psychological Dream Meaning: The enemy may be the enemy within. Do you have inner conflicts that need resolving? You may have rejected part of yourself that is struggling with you to find expression. This shadow side of yourself may contain the qualities you need foe personal wholeness. Alternatively the enemy may represent problems with real-life enemy and your dream may give you clues to reconciliation. Psychological Dream Meaning: You may be wanting to escape from a restrictive attitude or situation that is preventing your psychological growth. Alternatively you may be taking an escapist attitude and refuse to face up to problems that continue to pursue you. Psychological Dream Meaning: Everyone has a dark side. The evil that occurs in dreams usually represents something about yourself. It may represent destructive psychological forces such as: anger, jealousy, revenge or hatred. If you recognise these tendencies within yourself, first accept them, and then practice the opposite in waking life. For example, if you dream of hatred practice love, if you dream of revenge practice forgiveness and if you dream of jealousy practice giving. Psychological Dream Meaning: Dreaming of sitting for an examination may express a fear of failure. Examinations are a very stressful experience in which we are made to face up to our shortcomings. If you dream of failing an exam, being late for an examination or being unprepared then this shows that you feel unprepared for the challenges of waking life. Do not fear failure. Always do your very best and you will never have regrets. 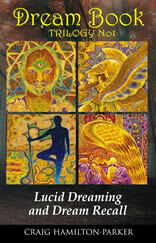 Psychological Dream Meaning: These ‘widows to the soul’ give us clues to the state of our spiritual health and wellbeing. If the eyes are bright, it suggests a healthy inner life. 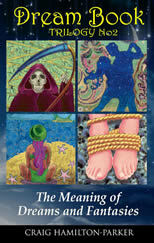 They may also represent insight or psychic awareness. The eye can be a symbol of wisdom and clear perception of your circumstances. It can show your way of looking at things. Are the eyes happy, sad, kind, judgmental or enlightened? The nature of the eye may say a great deal about the way you perceive your circumstances. For example, a green eye may symbolise the fact that you, or someone near to you, have feelings of jealousy. If you dream of ‘the evil eye’ this can represent your super-ego, the internal censor that passes judgement on your thoughts and desires. In extreme cases, to dream of a sinister eye may indicate that you harbour feelings of paranoia.